We will consider any genre (except non-fiction and poetry collections). Both agented and unagented submissions accepted. We are accepting queries for novels, picture books, chapter books, middle grade, and young adult novels. We will consider novellas, but depending on the word count, they may be released as epub only. Response Time: Please allow up to one month to respond to queries and three months to respond to full manuscripts. After that, if you don't hear from us then feel free to give us a little nudge. Multiple & Simultaneous Submissions: We accept both multiple and simultaneous submissions, but please let us know if your manuscript is picked up somewhere else. Books will be published as epub and print on demand. Whether the book is offered in paperback or hardcover depends on the type of book. Some novels may be released in both. Payment: Authors will receive a percentage of all royalties. AUTHORS DO NOT PAY FOR PUBLICATION. WE PAY FOR ALL PRODUCTION COSTS OF YOUR NOVEL. This includes, cover art, editing, and illustrations in the case of children's books. 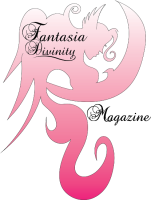 If you are interested in submitting your manuscript, please email us at FantasiaDivinity@gmail.com. In the subject line please type QUERY: [Your Title Here]. In the body of your email, please include your name, genre, word count, and query letter. Please attach the first three chapters of your manuscript. We will only allow submissions of unsolicited full manuscripts by regular mail. If you wish to mail a hard copy of your manuscript for review (thus by-passing the initial querying process) then please send us an email requesting the mailing address.